Dogs and cats seem to have plenty to say. Dogs whine, bark, howl, and growl; cats meow, purr, hiss, and yowl. Are they trying to tell us something? Some scientists think they are. Many believe it is highly likely that pets, because they depend on us, have evolved communication systems that function to manipulate and control our behavior. But whether these vocalizations contain precise messages is still a burning question. I’m sure that many readers are, like me, confident that scientists will eventually confirm the existence of cat meows that declare “I’d like salmon for dinner please” or dog barks that confide “I’d really prefer the Frisbee over a tennis ball today.” I like to believe my dog, Eej, is telling me specific things based on the sound of his barks. When he wants a treat or a toy, he gives a “please” bark. When he wants to go outside, he whines. When he wants in, he falls into a regular chant, one bark every minute or so, until I come to the door. When I’m training one of the other dogs and he wants to join in the fun, he emits a series of deafening shrieks! I can’t claim that my cat, Carmen, is quite so versatile. She directs two basic calls to me. She meows pretty much the same whether she wants food, water, attention, or a taste of my trout fillet. However, when she wants to come in from her outdoor enclosure, she produces this yowl that can wake the dead. There are a number of possible explanations for all this barking and meowing. The simplest account (Explanation #1) is that dogs and cats just like to hear the sound of their own voices and they aren’t really trying to tell us anything. I’ve met some dogs for which this seems to be true — they just like to bark for no apparent reason whatsoever. Another hypothesis (Explanation #2) is that dog and cat vocalizations are actually all-purpose sounds that function simply to attract us. Then we pay attention to other things our pets are doing to figure out what it is the pet wants. Maybe Eejit’s “please” bark fits this description. When he barks, I look and determine what he wants on the basis of what he’s staring at. A third version (Explanation #3) is that our pets produce vocalizations that sound different because of the way they feel at the time. 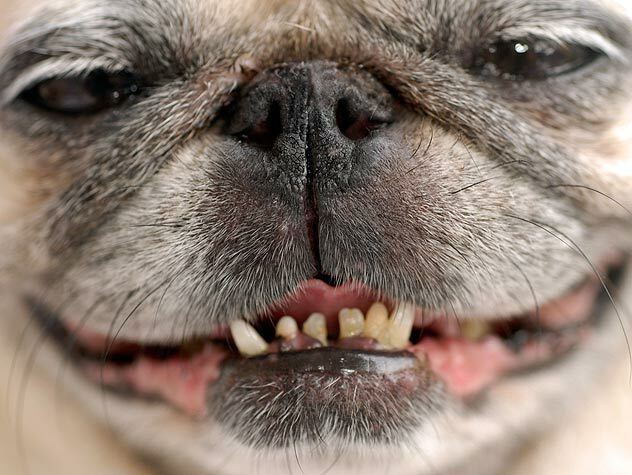 Dogs may produce “happy” barks and “sad” barks and “angry” barks and so forth. The barks don’t contain specific messages but we learn to interpret how the dog is feeling based on the sound of the bark. And finally, the most complex interpretation (Explanation #4) is that dogs and cats produce barks and meows that sound different because they are actually conveying specific messages in the vocalizations. This would mean that Carmen really is saying, “let me in that house right now or I’m going to wake the neighbors”! Before we can discriminate scientifically between these explanations, we need to know if dogs and cats do indeed produce vocalizations that sound different to us. Are our pets really capable of such language-like complexity in their barks and meows? Other animals have been shown to relay actual messages in their calls. Species of primates, birds, and rodents communicate the presence of certain predators by producing very distinct alarm calls. For instance, vervet monkeys appear to tell each other what type of danger is present. They have different calls for snakes, eagles, and leopards. If one vervet produces a “snake” call, all the other vervets stand up on their hind legs and look at the ground, whereas if the vervet gives the “eagle” call, everyone runs to hide in the bushes and looks up at the sky. Even the oft-disparaged chicken gives predator-specific alarms so surely our dogs and cats are capable of saying something when they speak. Researchers are finally beginning to look more closely at what our pets are saying and whether we can understand them. When the cat is placed in an unfamiliar car and is pacing back and forth. Nicastri presented the recordings to people who were familiar with cats but did not personally know the cats doing the meowing. They were asked if they could tell, from the meows, which of the five situations the cats were in. Listeners were surprisingly poor at this. Even the person with the most cat-experience only managed to correctly classify 41% of the meows (in contrast, people can differentiate human vocal sounds with an accuracy of about 90%). Not only were the listeners unable to identify the context the cats were in, they were also unable to recognize that one cat’s meow was similar to another cat’s meow in the same situation. In other words, one cat asking for food apparently doesn’t sound any more like another cat asking for food than when it’s asking for attention or anything else, for that matter. Nicastri was further astonished to discover that listeners could not even tell if the cats were feeling “good” or “bad” when they produced the meows. In fact, they reported that almost all the meows sounded negative. So, despite the fact that cats clearly use meows to communicate with people, we are unable to discern specific information or even guess at the cat’s general emotional state from the meows alone. Nicastri concludes that domestication has encouraged cats to meow to people, but that these vocalizations are not differentiated for precise requests. The meows may simply function to provoke, rather than specify, a reaction from people (Explanation #2). The next question to be addressed is whether the owners of the cats can detect specific messages from their own cats’ meows. Like the cat’s meow, the dog’s bark is also somewhat unique. The dog’s closest ancestor, the wolf, barks rarely and only when sounding an alarm to others, such as in territorial disputes. In contrast, dogs produce a wide range of barks for any of a number of reasons. Some breeds are more inclined to bark than others but all breeds, even the “barkless” Basenji, bark. Humans must, intentionally or otherwise, encourage dogs to bark, because feral dogs bark much less often than owned dogs. Feral dogs bark primarily to rally the group together or to fend off rivals. Sophia Yin, a graduate student at UC Davis, wanted to ascertain if dogs in different situations give barks that sound different. She recorded barks from 10 adult dogs of various breeds in three situations: (1) a stranger rings the doorbell (disturbance), (2) the dog is locked away from the owner (isolation), and (3) while playing with another dog or the owner (play). She created visual displays of the barks and performed spectrographic analyses to determine their exact acoustic structures. She found that dogs emitted the same types of barks in each of the contexts and that the barks differed across context. Disturbance barks, for instance, are lower in pitch and longer in duration than isolation and play barks. Because the barks vary in the different situations, it is at least theoretically possible for people to glean information from the vocalizations (Explanation #3 or #4). In fact, you can visit Yin’s website (http://nerdbook.com/sophia/barking.html) and take a test to see if you can discern which barks are linked to which contexts. Anecdotally, people seem to be pretty good at this but further research is the only way we can determine exactly what dogs are trying to say. What’s the Scoop on Bowlingual? Is Bowlingual an accurate translator? As yet no researcher, independent of the manufacturer Takura Co. Ltd., has addressed this question so we don’t know, but Yin’s study suggests that it is possible. Will Bowlingual tell you anything you don’t already know about your dog? Given that the device only categorizes barks into six emotions, it’s highly unlikely that you’ll learn anything new but it’s bound to be a great party toy. And maybe you’ll even develop a greater appreciation of your dogs’ vocal repertoire! Bowlingual will soon be available in the U.S., retailing for approximately $120.00. I understand Japan Acoustics Laboratory is now hard at work on Meowlingual for cat owners. However, judging from Nicastri’s study, people don’t think cats have much to say so Meowlingual probably isn’t going to be as chatty as Bowlingual. Is it healthy for dogs to be home alone all day? 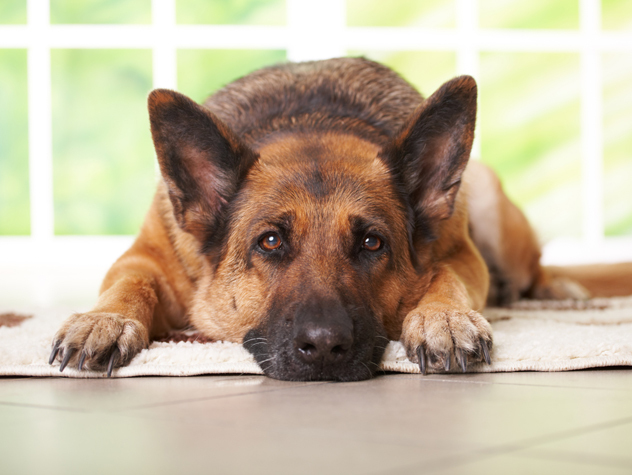 Find out and get ideas to curb your pup's boredom.